We are engaged in offering our customers a wide range of Rivet Gun that are typically used to drive rivets . MAKE STAR / JON BHANDARI, Dayton, Power Grip & other imported . - Rivet diameter capacity 1/8" Alum, 3/32" Steel. - Accepts all rivet sets and dimple die sets with .187 shank dia. - Rolling cam and wedge assembly develops 3, 000 lb. compression force with 90-100 PSI input. - Easy changing of yokes and tooling. 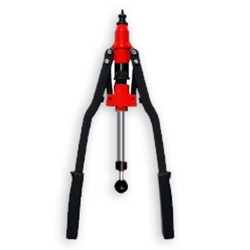 The Speed Riveting Tool provided by us is acclaimed for its efficient operation. 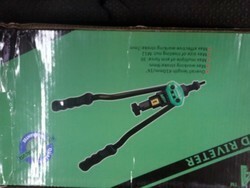 We are Leading Supplier and Distributors of Riveting Tools. Matching up to ever-changing needs of the patrons, we provide the handpicked quality of Pop Rivet Machine. Their accurate dimensions and sturdy construction make these products highly demanded.